Health And Baby Care – Having a baby is one of the most exciting times in your life. But it can also be one of the most stressful times! You may feel overwelmed by the knowledge that your tiny little newborn is totally dependent on you to meet all his or her needs. Don’t worry, you and your baby will get through this challenging time together and in the process, you will build a special bond that will last for a lifetime. Here is some advices to get you started on the road to the success, as a new parent. Choose a pediatrician that you feel comfortable with: You and your pediatrician will work as a team to give your baby a healthy start. Your pediatrician will also be there for you to answer your questions and address your concerns about your baby’s health. 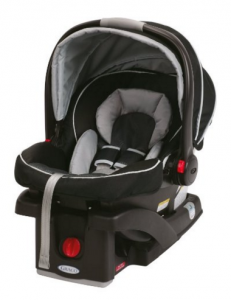 Make sure your baby’s car seat is properly installed in your car. You need this to take your baby home from the hospital. Hospital nursery can help you if you are unsure how to install base. Or you can ask for help at your local police station, the store you bought from or fire department. Click here to go to Car Seat page and learn more. Do some research to determine if you want to breastfeed or give babies formula in a bottle. Some parents even do a combination of both. If you decide to breastfeed and the baby has trouble latching on, or having other problems, check with lactation consultant at your local hospital. Remember to never leave newborn unattended; on a changing table, sofa or bed. Babies can move suddenly. It’s a good idea to always keep one hand on your baby or strap him or her on a changing table right from the beginning. Have plenty of diapers on hand, since some newborns can go through close to a dozen or more a day in the first period. You will probably need the newborn size at first, but be prepared – some babies grow out these fast! Other diapering supplies you need include wipes for newborn sensitive skin, a diaper cream and a changing table, or changing pad. In winter, you may want to also use a wipes warmer. If your newborn was circumcised, check with your pediatrician on how best to care for the wound to heal it. Also follow pediatrician advice for umbilical cord care. Some recommend daily cleaning with alcohol, while others today prefer to let it dry out on their own. Either way, expect the stump to fall off within the first few weeks or so. Always put your baby to sleep on his or her back in a crib or bassinet with a firm mattress covered by a tight-fitting sheet. You can use an infant sleep positioner to be sure the child stays in place. Be sure to remove all pillows, comforters and stuffed toys, since these could strangle the child. Sleeper blankets or sleep sacks are the safest options to use if you need to keep your baby warm. Have a rectal thermometer ready in case your child becomes ill. Click here to read more about fever and how to deal with it, scroll down to “Oh No, My Baby Got Fever!“. In the process of caring for newborns, do not forget to take care of yourself too. Sleep when you can, and not be afraid to ask for help from family and friends when you need it. Many mothers suffer from the baby blues for several days after birth, but if you experience prolonged bouts of sadness or feeling unable to cope, seek professional help as soon as possible. Shipping: Free Shipping on orders over $35, only in US. Simply add a drop to their food or drink. Provides a full 400 iu dose of vitamin d3. Highly concentrated potent liquid has no taste or odor. Comes with no dropper in the bottle. D-vitamins is not in breastmilk, you have to give it in other ways. 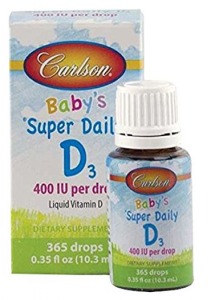 Start with adding D-Vitamin when the baby is 4 weeks old. Batteries is already installed, ready to use right away. Easy to use and to understand. Measure the baby temperature, if the temperature is below 38,5 Celsius don’t give any medicines. Just let the immune system take care of it. Give your child alots of water, it would be wise to cook the water first and let it cool down before you serve it. 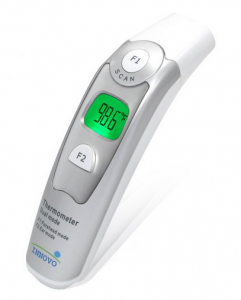 Rectal thermometer is proven to be precise to measure the temperature. Read more about it here. Provides glucose to promote sodium and water absorption; Ready To Use–No mixing or dilution necessary. Short self life. The self life is about 24 months. 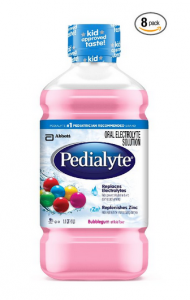 Unlike sports drinks, juice, or soda, Pedialyte contains just enough sugar in balance with sodium to promote absorption and help replenish more of what kids lose to diarrhea and vomiting. 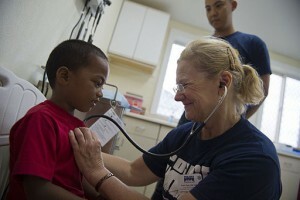 The #1 pediatrician recommended brand, comes in a range of great-tasting kid-approved flavors. 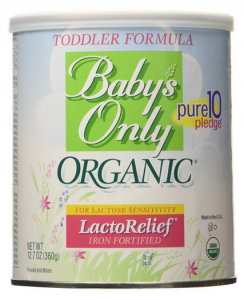 An unflavored option is also available for infants. Organic formulas with less processed, and no artificial components. Not for babies. Use only recommended age. Register to Amazon Baby Registry for more discount and offers, read more about it here. Please leave a comment and I’ll answer you. I can totally relate to new parents concerns when they have their first child. When I had my first child, I was clueless and had help and advice from my mother. Even something as simple as bathing the baby was a learning process but like everything, practice makes perfect. We initially breastfeed our baby but eventually was unable to, so we went onto baby formula. Choosing a good quality baby is quite a minefield. With so much choice and recommendations, its great that you have reviewed this baby formula for all those new parents out there. Thank you for commenting. Yeah, it’s much to learn and experience when you got your own baby. Not only your’re learning about the baby, but you learn about your self too, as a person and what you’re capable to do. When mom is unable to provide much more or enough milk from breastfeeding, it’s good to know subtitution milk like, Baby Formula lactose free milk. Hello, Thank you for putting this page together!Great information. The links to get the thermometer and the pedialyte solution is particularly thoughtful. Babies can get a fever very easily and it is important to detect this early so they don’t get dehydrated. The thermometer and pedialyte could be life saving to have around. Very nice of you to leave such a good comment and thank you for visitting my website. Yes, the thermometer and pedialite is very important and should be preserved in the home. I just wanted to say good job! I like what you have done here. Very informative information. The products you advertise are great for parents everywhere. Once again good job.